I need an intervention. Seriously. 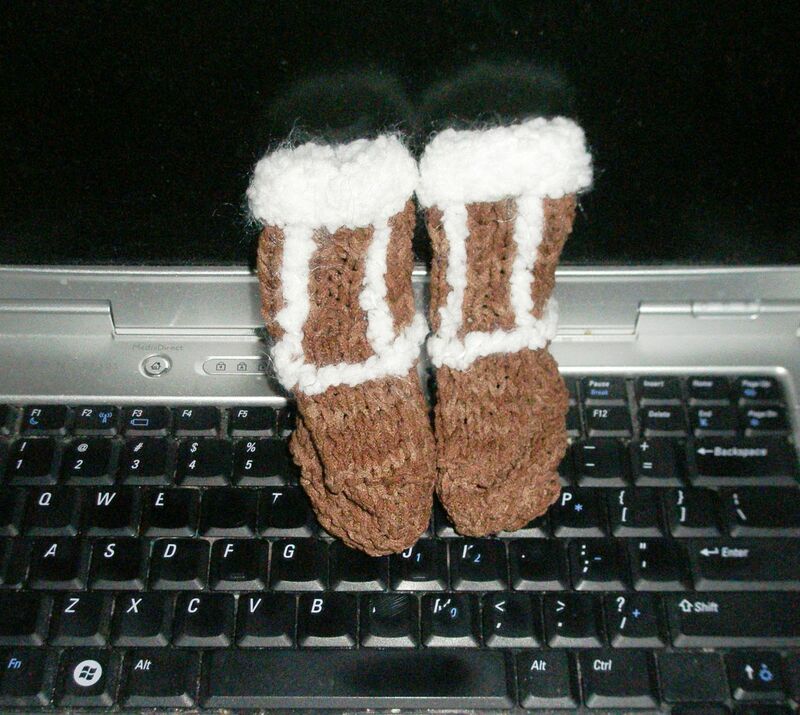 I can't seem to stop knitting Baby Uggs. They keep popping onto my needles when I'm not looking and a couple of hours later, there I am embroidering the white fluffy parts and wondering how I ended up with another pair of finished Uggs. Believe me, they're cuter than the photo would lead you to believe. I should've stuffed the toes with cotton and done all the stuff a serious knitwear photographer would do but I'm a writer, Jim, not a photographer and sometimes the best I can do is point, shoot, and pray. Speaking of socks, there's still something to be said for the thrill of knitting a very plain sock in a very fanciful yarn. 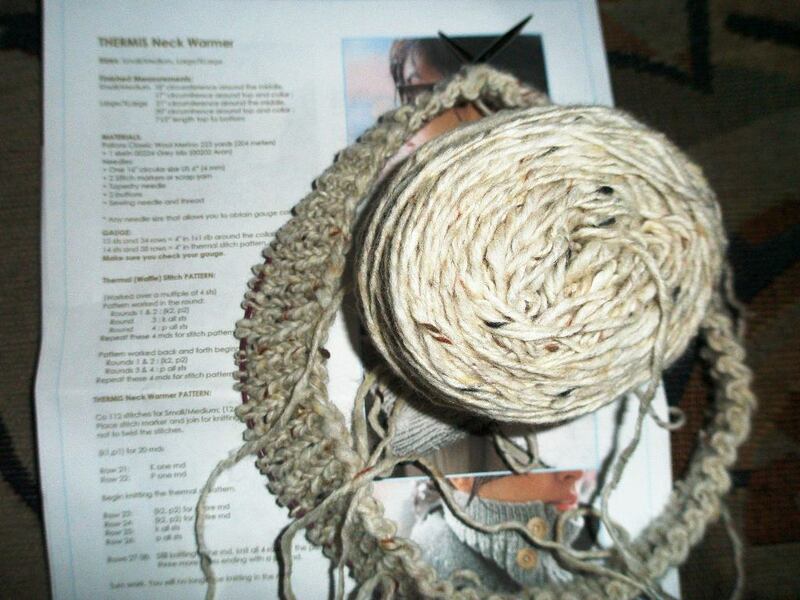 That's Regia 4-fadig Square below and I can tell you it was a pure joy to knit with. Bright juicy colors, fun patterning, Regia quality. Square made plain old stockinette fun. 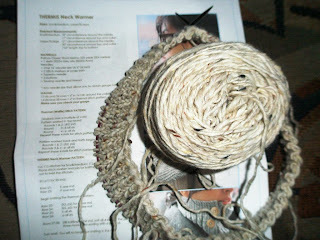 Did I mention my cowl obsession? It started late last year with Tudora and continues apace. That's the start of Thermis below. I'm about 80% finished now so a (bad) finished photo should be coming in the next day or two. NEW GIVEAWAY: If you'd like to win two skeins of Regia Square in the colorway shown above, drop me a note here with Square in the subject. Winner will be announced Tuesday evening. I just found out about the 3rd book in the "Casting Spell" series and I am soooooo excited! I have been checking Amazon like every month. When I saw that there was a new book I literally screeched! I put it on pre-order. I am so hooked on those books, like none other I have ever read! Just read the post below - And there is a #4???? Oh Yea! You just made my day - twice! I've knit a BUNCH of those baby uggs--they are so much fun. I love the baby uggs. And there are more casting spell books!!!!!!!!!!! I was wondering what happened to the spinning wheels and the cats and the glorious never ending bag of roving. CONGRATS LILL! 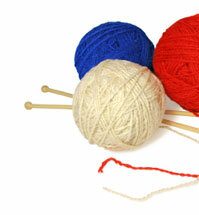 I USED TO CROCHET BUT ONLY HAVE ONE WORKING HAND NOW. Those UGGS are SO cute! 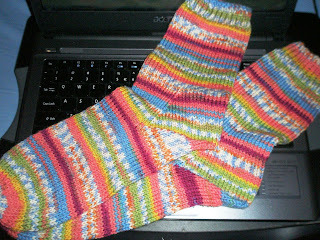 And the socks - I envy anyone who can change colors while knitting. I still haven't figured it out, but my knitting leaves something to be desired anyway plus I can't hold the needles for long as my fingers start to tingle.